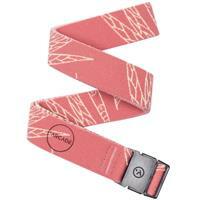 +Narrow Width – 1.25" width fits through smaller belt loops. +Travel-Friendly – No metal means easier passage through airport security. +Minimal Buckle – No unnecessary bulk.